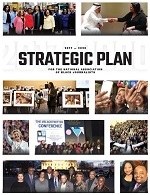 WASHINGTON, D.C. (Oct. 14, 2016) --The National Association of Black Journalists (NABJ) congratulates former NABJ President Kathy Y. Times on her new role as Executive Associate Director of the Florida A&M University (FAMU) Office of Communications. In this role, Times will be responsible for developing and implementing all of the University’s marketing, mass communications, and social media strategies. Times is president of Yellow Brick Media Concepts, a public relations firm. Prior to starting her company, she was a primary news anchor in Jackson, Mississippi, and worked as a broadcast and newspaper reporter. She has won Emmys and other awards for her investigative reporting. From 2009-2011, Times served as NABJ president. The FAMU School of Journalism and Graphic Communication and FAMU National Alumni Association (FAMU NAA) honored her with Distinguished Alumni Awards. According to Times, leading FAMU’s communications efforts is among the highlights of her career. As a dedicated alumna, Times also serves as the public relations committee chair of the FAMU NAA. Times graduated with honors and earned dual Bachelor of Science degrees in computer information systems and journalism at FAMU. She furthered her education at Northwestern University’s Medill School of Journalism, where she earned a master’s degree in journalism. 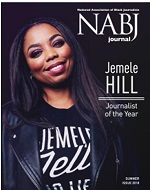 NABJ wishes Times much success in her new role. *News reports were used to compile this release.